A Western Sandpiper stops on the Washington Coast, refueling on polychaete worms before continuing its migration to the Arctic circle. Photographer Gregg Thompson noted that the sandpiper had to stand w-a-a-a-y on its tiptoes to pull the long worms out of the sand. See for yourself here, here, and here. 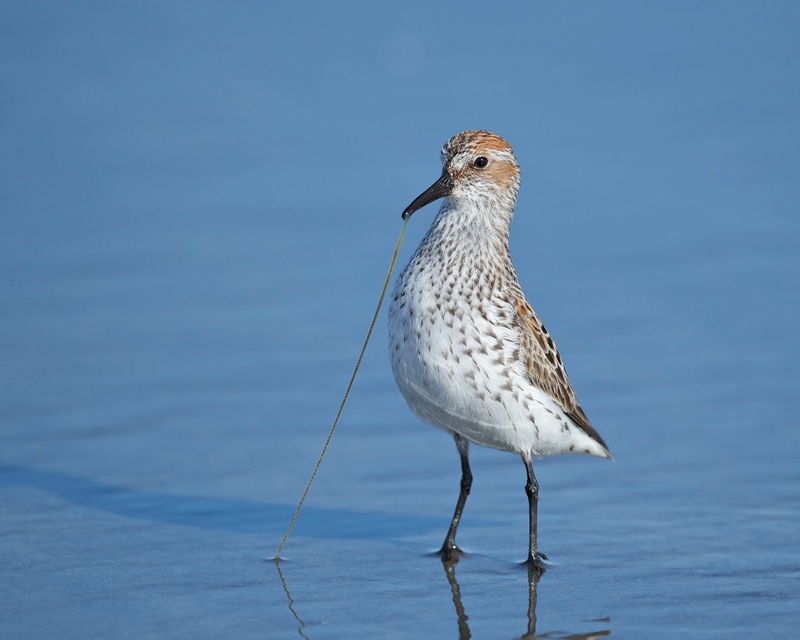 Listen to other shows about Western Sandpipers.